Venetian contralto Sara Mingardo is widely recognized as one of the foremost contraltos before the public today. Following initial studies in her native city, she made her operatic debut in 1987 as Fidalma in Il matrimonio segreto in Avezzano. Since then, she has performed in many of the leading lyric theatres such as the Scala, the Salzburg Festival, Geneva, Madrid and Santa Fe. 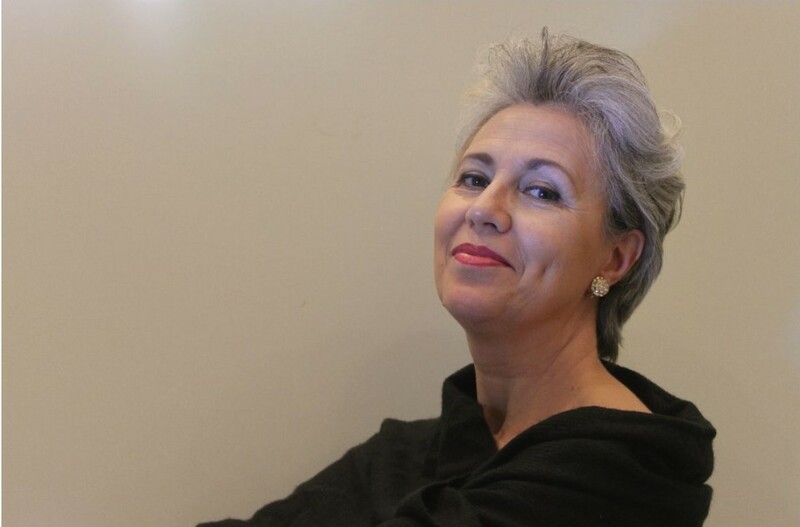 Miss Mingardo is also known as a fine concert singer and has performed with many leading orchestras both conventional and on period instruments, as well as in recital. Her repertoire includes music from Monteverdi to the present day. Recent, current and future engagements include Ottone at the Scala, Geneviève at the Ruhr Triennale, a staged Mozart Requiem in Aix and Cornelia at the Scala. Miss Mingardo very kindly responded to some questions by correspondence from Hamburg as she prepared for her role as Penelope in the revival of Il Ritorno d’Ulisse in patria. Miss Mingardo, you are currently preparing to perform the role of Penelope in this revival of Il Ritorno d’Ulisse in patria. Tell us about the show we can expect to see. First of all, I’d like to express how happy I am to be back in Hamburg. It’s such a lively city for music and the public here is extremely educated. 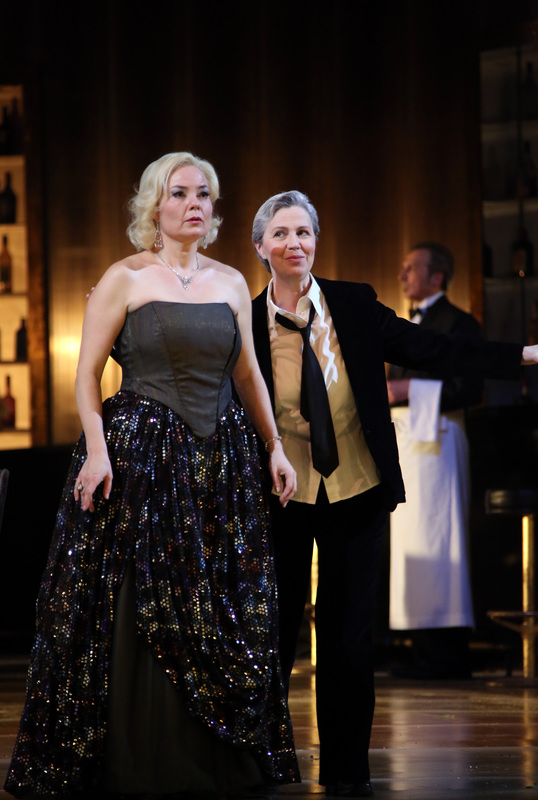 I find this particular staging elegant, never predictable, and the fact that the costumes are modern does nothing to diminish Monteverdi’s exploration of the patience, tenacity and strength of women in general. I find these elements are brilliantly contextualized in this staging. I’m absolutely certain that you’ll find many Penelopes today, many more than it’s possible to imagine. The cast is marvellous as is the orchestra. I’d especially like to thank the stage director, Willy Decker, always so expert in what he does, and able to highlight the important elements of a text that isn’t always easy to understand. It’s a show well worth seeing. You are singing Penelope a central character to the work and one who goes on a journey throughout the piece. Who is Penelope for you and how do you aim to bring her to life? Honestly the first thing that I look at, in a role that I’m not familiar with, is the tessitura in which it’s written. Once I’m convinced that it’s comfortable and possible for me to sing, I’ll then start to look at the story of the character I’ll be performing. In Italy, we start to read The Odyssey by Homer right from middle school. Penelope is therefore a character that we know and love from an early age and the opportunity to bring her to life on stage, even in Monteverdi’s version which contains a fair number of revisions, really feels like a privilege and continues to be so. Penelope is a woman who desperately loves Ulysses and she has made her wait for his return very much her only raison d’être. Strength, determination and perseverance are I think her key qualities. As for the text, in the ‘recitar cantando’ of the 17th century, it’s absolutely key to communicating the piece. Your repertoire stretches from Monteverdi to the present day. How do you approach such a broad repertoire stylistically? The thing that drives me is curiosity and an infinite and unconditional love for music, all kinds of music. Certainly, the style of performing can vary enormously from one period to the next and what helps guide me through these differences is my technique. As far as ornaments in early music are concerned, this really depends on the conductor. Not all of them appreciate a singer embellishing the music, and there are even times when I don’t feel up to the task. Often, when people know what will happen, they are more at ease. In any case, passion, study and that infinite curiosity are what I think are the real keys to success as a singer, combined with the awareness that our work, our development is never truly finished. In many respects, you are part of a generation of Italian singers who reclaimed the music of the Italian baroque for Italian singers, I’m thinking in particular of the work that you did with Rinaldo Alessandrini in the late 1990s, that were very much a revelation. I learned so much from the magnificent work that I did with Maestro Alessandrini and it has influenced my musical life in an enormous way. I should also mention, however, that I have had the privilege of working with so many great conductors over the years, who have all been great influences on me. I’m not just talking about the big names, but also of people who are perhaps less well known, such as Maestro Ferruccio Lozer, a marvellous musician, pianist and chorus master in Venice, one who has had an enormous influence on my musical life. You are recognized as one of the leading contraltos before the public today. The contralto voice is quite a unique one. What does it mean to you to be a contralto? In the last few years, calling oneself a ‘contralto’ has almost become an insufferable way of wanting to set oneself apart. So, when I think of my voice, I like to simplify things: I sing what I like, and fortunately, what I like belongs to the contralto repertoire. Coming up you have a staged Mozart Requiem by Castellucci in Aix, you’re returning to the Scala for Cornelia. What else can we expect from you, looking ahead? I’ve been dreaming of singing roles from a very young age and almost all of my dreams have come true. I’ll continue dreaming though. The Mozart Requiem project promises much but so far, I have no idea how it’ll be – I’ll let you know! As for my students, I’m delighted to continue teaching at the marvellous Coservatorio di Santa Cecilia in Rome, Italy, where I have an incredible class of young singers, some of whom are already making international careers. I believe it’s our duty to give back some of the joy and privilege that we’ve had in life, passing on to young people all the information necessary for their journey into this unique and truly wonderful world. With thanks to the Staatsoper Hamburg.